"The double bass is softer, darker and lower than the other instruments. It doesn't always jump out." In the classical world, we get to see more than our fair share of performances from violinists, cellists, flautists, clarinetists and soloists who play instruments with relatively high registers and ranges. It’s a rare treat, then, when you get to experience a deep and dusky double bass virtuoso on the stage. 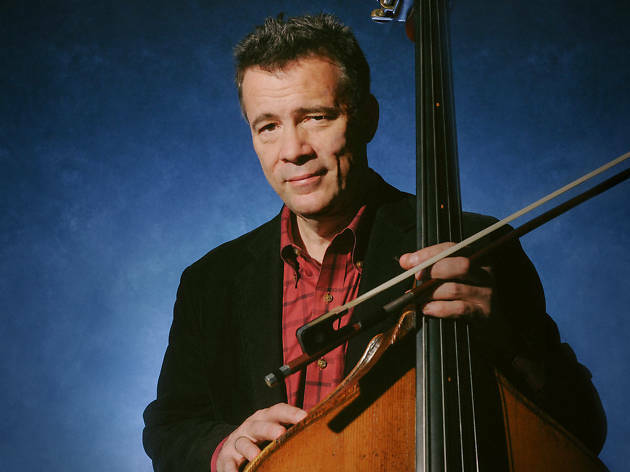 So, prepare for a treat indeed, Hongkongers, as Edgar Meyer hits town. He’s one of the few double bass soloists in the world and, for that matter, in history, with a repertoire that spans as many genres as you can think of. He’s recorded bluegrass, jazz and classical music double bass tunes and he’s well worth seeing in the flesh. 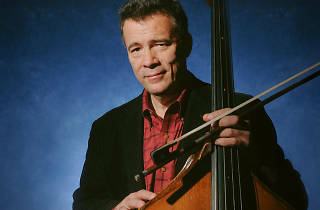 Meyer is one of the most accomplished practitioners of the double bass since the instrument was invented. The 55-year-old has collaborated with giants of each genre of music he’s worked in, such as banjo player Béla Fleck, who’s known for his work in bluegrass and fusion jazz, classical cellist titan Yo-Yo Ma and longtime friend and mandolin virtuoso Chris Thile. Meyer, from Tennessee, USA, was named a 2002 MacArthur Fellow under a scheme which rewards extraordinary dedication, talent and originality, and he’s also a proud owner of a Grammy for his 2000 collaboration with Yo-Yo Ma and bluegrass violinist Mark O’Connor on Appalachian Journey. There’s no doubt that concertgoers should get to hear a unique type of double bass repertoire on the night. The pieces dedicated to the instrument that he’s playing are the Bottesini concerto and his own Concerto No 1 in D Major. The other two pieces on the bill are a sinfonia by Luigi Boccherini entitled La Casa del Diavolo, which is a general orchestral work, and Alfred Schnittke’s Suite in the Old Style, which was written for the violin and piano. However, Meyer has no doubts about the sublimity of the concert. “The instrument,” he concludes, “has been used in many great ways in many different groups and I’m an advocate of trying to place it in high quality musical situations with a vigorous involvement.” Yes, expect a high quality musical situation on November 8.